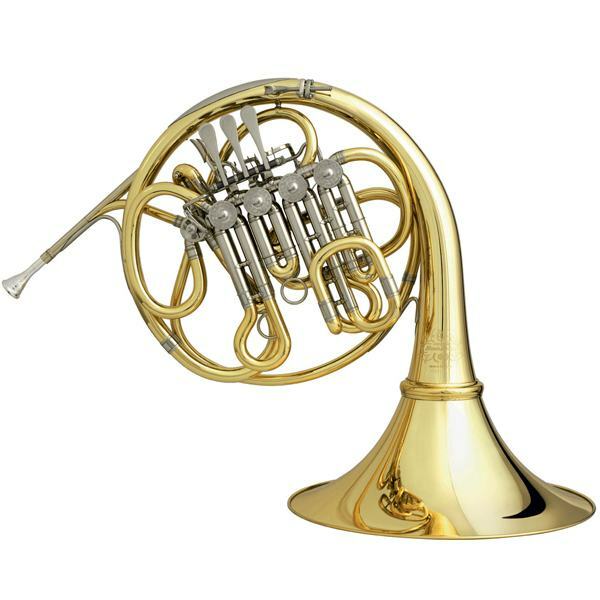 Full Doublehorn Bb/F Hans Hoyer 6801NS-L "Cruspe Style"
Full Doublehorn Bb/F Hans Hoyer 7802 Heritage "Cruspe Style"
The Hans Hoyer RT92 Descant Horn is inspired by Hans Hoyer artist Richard Todd, Hollywood Studio Artist, former Principal Horn of the LA Chamber Orchestra, Associate Professor of Horn at the Frost School of Music, University of Miami, and International Jazz Artist. Richard Todd paid special attention to the LA studio horn sound, originally established by his teacher, Vincent DeRosa. The horn is quite versatile and serves him well between his classical, studio, and jazz performances. The horn is made of very thin brass which ensures quick response and accuracy. It has a single-seamed bell allowing a full array of harmonics.